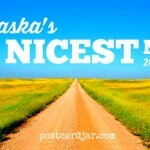 We wrote about some of the nicest things we saw — calling them our 2014 “Nebraska’s Nicest Nine.” The list was compiled from the places we traveled that summer on our 1,260-mile journey that took us west to North Platte, then off I-80 around Lake McConaughy to Alliance, then to Scottsbluff/Gering, up to Chadron, across Highway 20 to Valentine, and Norfolk, then down through Columbus to home. These nine are the nicest sites, attractions, and people we found on that particular trip off the beaten path–a place definitely worth going. 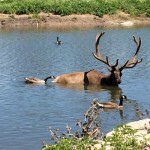 #9 – Cody Park – This unique park in North Platte was filled with a wide variety of animals (including white peacocks), a carousel, ice cream shop, and lots of smiling faces. #8- Wildflowers and prairie grasses – We were stunned (and so were our sinuses) by the incredible displays of purple and gold wildflowers and the prairie grasses throughout the state. #7 – Chimney Rock and Scottsbluff Monument – No list of Nebraska’s best would be complete without these two historic landmarks. They never disappoint. #6 – A kiss on the butte – Long and empty roads, rolling Sandhills, and an absence of cell phone coverage brought on the romance, and yes, a kiss on the butte. 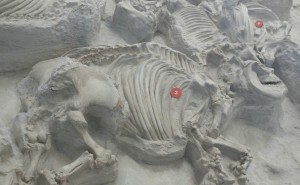 #5 – Ashfall Fossil Beds State Historical Park – Sadly, one of the least known attractions in Nebraska. This place is amazing and unlike any other fossil bed site in the world. #4 – Circle C in Cody – Students in this small town (that refuses to die) built a a straw-bale building and now run a supermarket – the first here in more than a decade. #3 – Neon Bar and Grill – Perfectly seasoned and grilled steaks and excellent service earned this restaraunt a place in our Top 9. The fact that it was (by far) the cleanest restaurant in which we ate on our trip, moved it all the way up to #3. #2 – Toadstool Geologic Park – There’s nothing like Toadstool anywhere else in Nebraska (or likely the world). It is located 19 miles from Crawford in the far northwest part of the state — but feels like you’re on the moon. Concert at Wild West Rodeo Arena in North Platte; Front Street in Ogallala; Golden Spike Tower and visitor center in North Platte; Museum of the Fur Trade in Chadron; Higgins Memorial in Columbus; Lake McConaughy; Motel Raine in Valentine; North Platte Hampton Inn; Ole’s Big Game Bar and Grill in Paxton; The Sand Bar and Grill in Norfolk; Smith Falls; Fort Niobrara National Wildlife Refuge near Valentine. Not so nice? You be the judge. 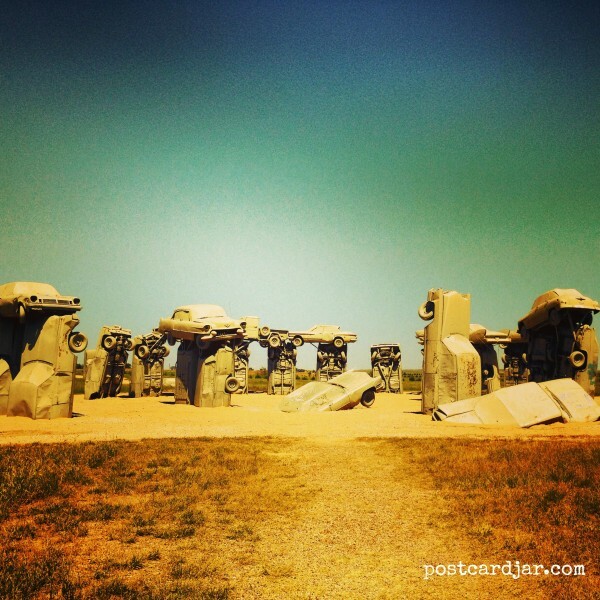 Carhenge. We spent about 15 minutes at this Stonehenge replica made of old cars near Alliance. On our way back to the car, I asked Steve what he thought. He said, “It was everything I imagined and less. Much less.” Personally, I thought it was pretty cool. What do you think? What are the nicest things you’ve seen in Nebraska or your home state? Let us know in the comment section below. We’d love to hear from you. Drifter’s Cookshack, Hudson-Meng Bison Bone Bed, Ft. Hartsuff, and Agate Fossil Beds come to mind. 🙂 So much to discover in this state! We went to the Drifter’s Cookshack and Hudson-Megn for the first time last summer and enjoyed both. You’re right, there’s a lot to discover in Nebraska and we always seem to find something new each year. Let us know if you find any other Good Life treasures. I tend to really enjoy Lauritzen Gardens in Omaha and the rail yard in North Platte. 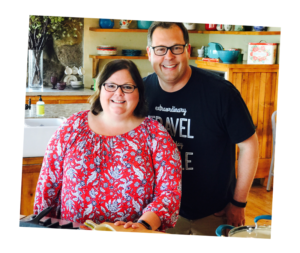 Hard to make ONE choice… Nebraska has so many fabulous gems. We have not been to the Lauritzen Gardens yet but we have been to the rail yard in North Platte. The Golden Spike Tower at Bailey Yards is just fascinating. We learned so much about trains and especially liked the display dedicated to the North Platte Canteen.